Hi folks. It has been a while since I got on with some study. Now that things aren’t so busy it’s time to get learning again. 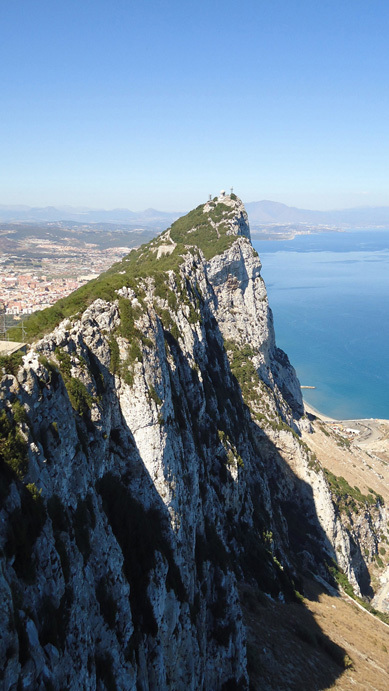 I recently took a trip to Gibraltar and while I was up the actual rock of Gibraltar I took this photo. So tonight I spent ages trying to figure out what to study when I came upon this photo and figured the lighting was about right for the sort of thing I felt like doing. Here’s the finished piece. Took around 3 hours. I started out with the lasso tool, then worked with a hard edged brush, then got really uncomfortable with all the solid fills and hard edges and went to town with a default chalky brush. Oh and just a little touch of photo texture over the top but it doesn’t make a major difference to the finished piece. Stay tuned for more painting studies, freebies and other cool stuff. Also note the new Twitter link! Follow me there for daily links to cool stuff! 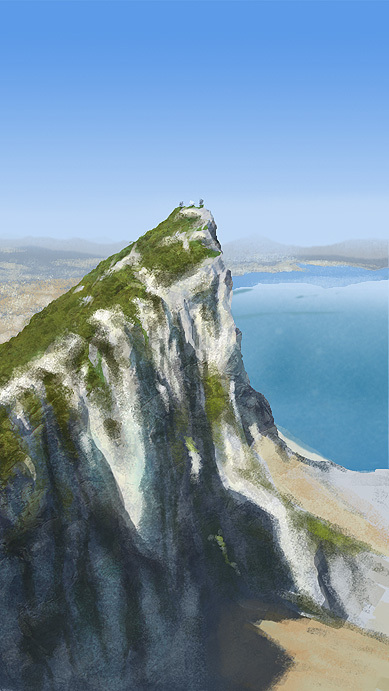 This entry was posted in Digital Painting Studies and tagged digital painting, landscape, rock of gibraltar, speed painting. Bookmark the permalink.